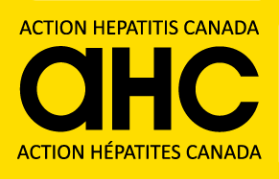 Top of the news: Help4Hep – BC Helpline Now Online. This is a toll-free hepatitis C peer-to-peer helpline where you can get accurate information and meaningful help that is free of charge and confidential. As well there is an URGENT! Patient and Caregiver Input Request: We Need to Hear your Voice! Patient and Caregiver input is requested by CADTH on AbbVie’s BRAND NEW (not yet for sale in Canada!) combo of glecaprevir and pibrentasvir (G/P) for Genotypes 1-6. Also: interesting news treating people on opioid substitution therapy with DAAs and another sad tale of tainted blood, deaf ears and hearts of stone! This week we cover a new report from the CDC in the USA documenting the spectacular rise of HCV especially among women and adolescents; there is as well a new report from WHO on the global situation, highlighting the need for testing and screening strategies.